Priced to sell! 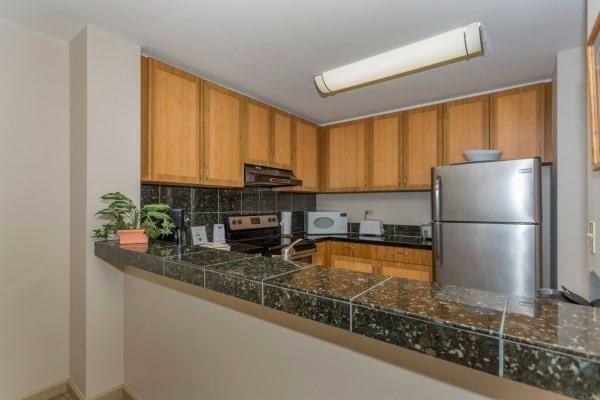 1 Bedroom 2 Full bathrooms, fully furnished with nice upgrades throughout. Central AC, elevators, covered parking, private sandy beach and heated ocean front pool and spa. 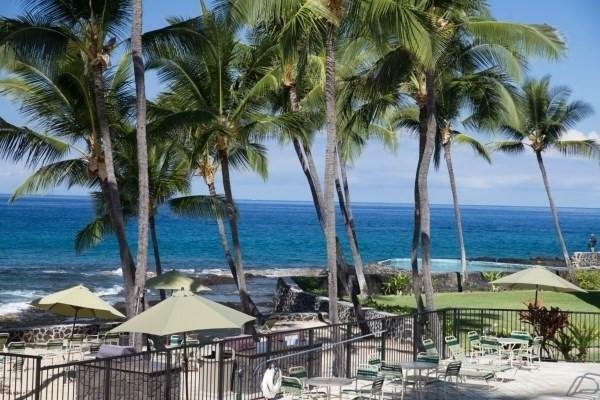 Kona by The Sea is one of Kailua Kona's premier vacation destinations. Beautiful grounds, extremely well cared for inside and out. 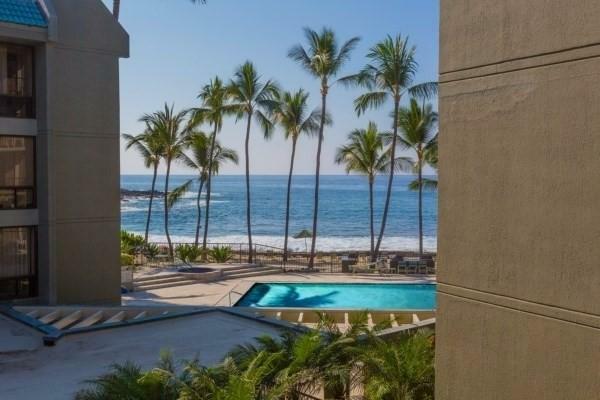 This is one of the largest 1-Bedroom units on Alii Dr, 919 Sq.feet plus an 150 Sq. foot lanai. Concrete construction perfect for Ocean front living. Kona By The Sea is a Smoke Free Complex. Pet friendly too!